Calm & Balanced Essential Oil Blend is a combination of 100% Pure Essential Oils that have been reported by aromatherapists to help calm and balance mood. The deep, floral scent of this blend is exquisite. Step out of your routine, close your eyes, and regain your balance while enjoying some deep aromatic alchemy. 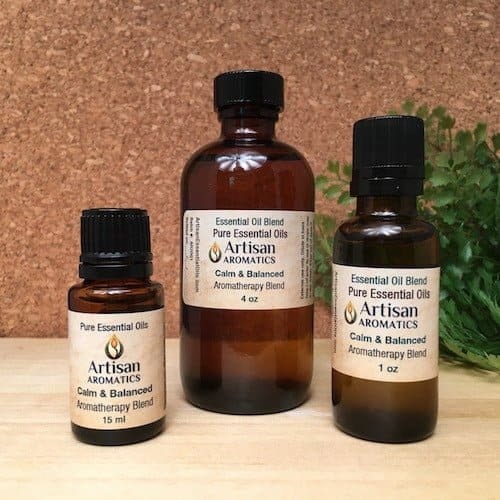 Calm & Balanced Aromatherapy Blend is a combination of 100% Pure Essential Oils that have been described by aromatherapists as having “calming” and “balancing” effects. The beautiful, complex aroma has herbaceous and deep, sensual floral notes softened and deepened by hints of frankincense and orange. Don’t let the frustrations and stresses of daily life become overwhelming; step back, make time for relaxation and reflection and enjoy the beautiful aromas of nature’s healing essences. Calm and Balanced Blend can be used for inhalation in an aroma locket or small diffuser or can be properly diluted for direct application to the skin. It is also a nice blend to use in a warm bath: for this purpose, add 6 drops of pure Calm and Balanced Blend to a tablespoon of whole milk and gently stir this mixture into a warm bath. 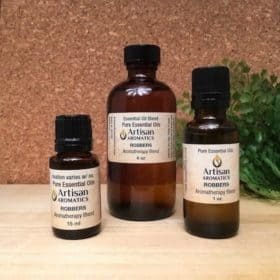 This formula is also available as a pre-diluted Massage Oil that is ready to use on the skin (see our Massage Oils section) or make your own massage oil by diluting this pure essential oil blend in a vegetable oil to a maximum concentration of 2.5%. 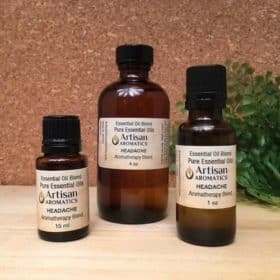 Essential oils that have been described by aromatherapists as calming might possibly encourage drowsiness while driving so we don’t recommend using this blend in a car or before you will be driving (Note: drivers may experience drowsiness even if the blend was used only on a passenger in the car). In addition, also see General Safety Considerations in the box below.